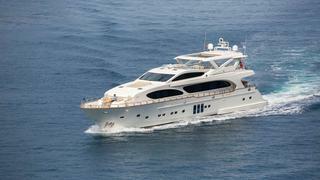 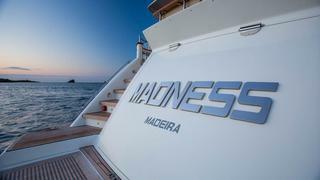 Madness is a 33.40m Luxury yacht built by Bilgin in 2010, is now currently available for charter. 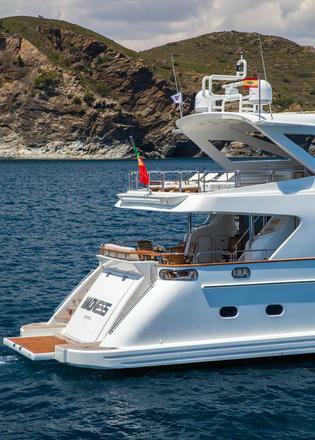 With naval architecture by Mahir Bestas, exterior styling by Bilgin and RINA classification; she accommodates 8 guests in a master, 2 VIP and 2 single cabins. 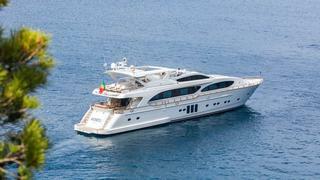 Powered by MTU engines she has a cruising speed of 15 knots and top speed of 19 knots. 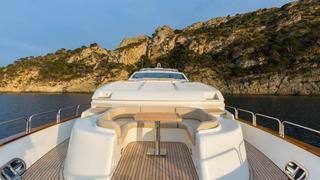 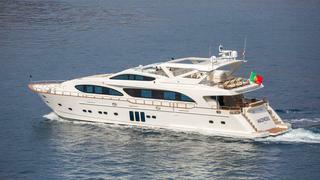 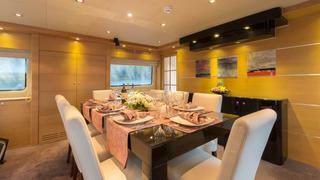 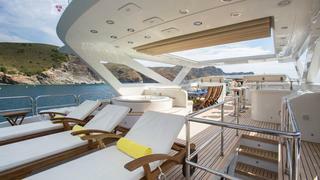 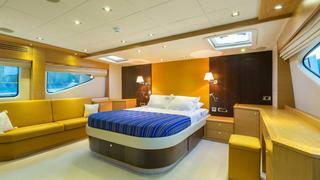 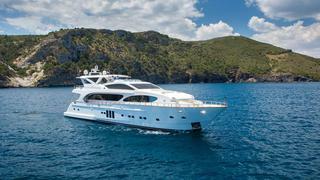 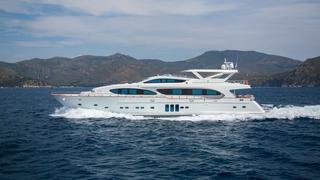 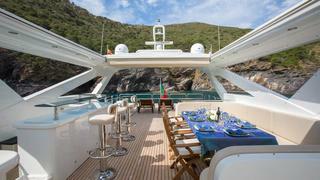 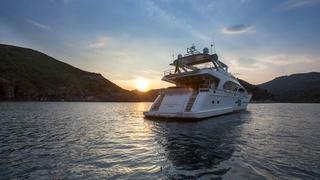 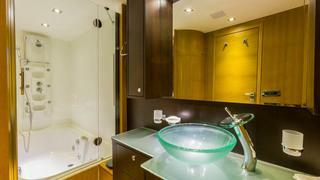 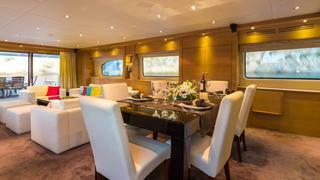 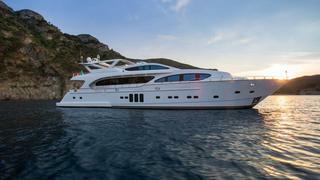 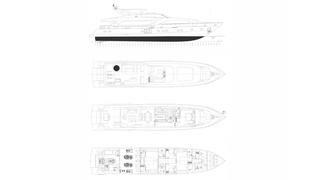 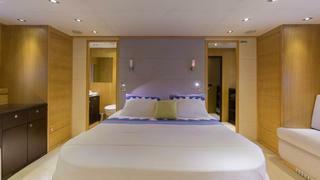 She also has a large flybridge with a sunroof, spa pool, bar, fridge, dining table and sun loungers.